My guitars have a few details that are special. I want to explain them here: All of my guitars have the patented fretboard system (see patented fretboard) that leads to an outstanding intonation. All woods are massive and I do not use any kind of artificial fabric e.g. for stiffening my tops or for making sandwich tops. The glue for the bracings of the top and the bridge is traditional hide glue. The other joint such ase sides, fingerboard, bindings, etc. are made with titebond. After some experiments with 2-component laquer, my finish is made of classical french polish or if the client wishes so, the guitar is waxed and oiled only. The necks are only waxed as default as it is for hundreds of years with violins already. 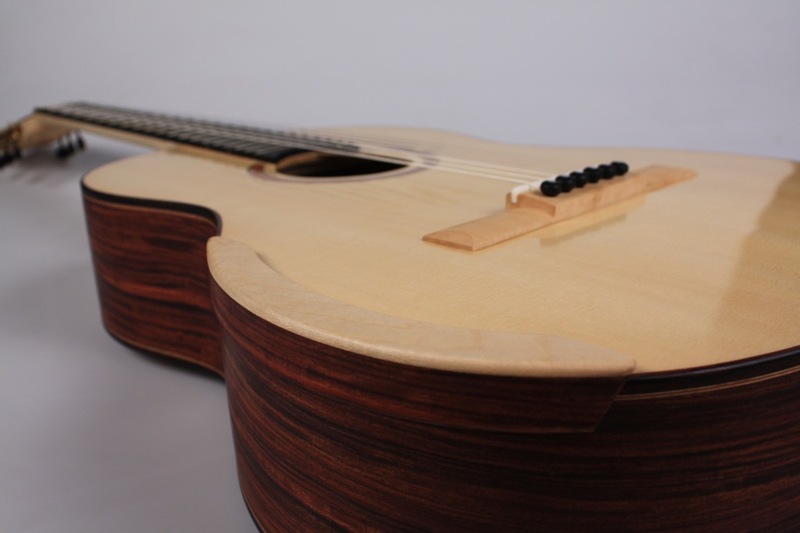 With a waxed neck, the playability and smoothness is extremely fine and much better than with a high gloss neck. 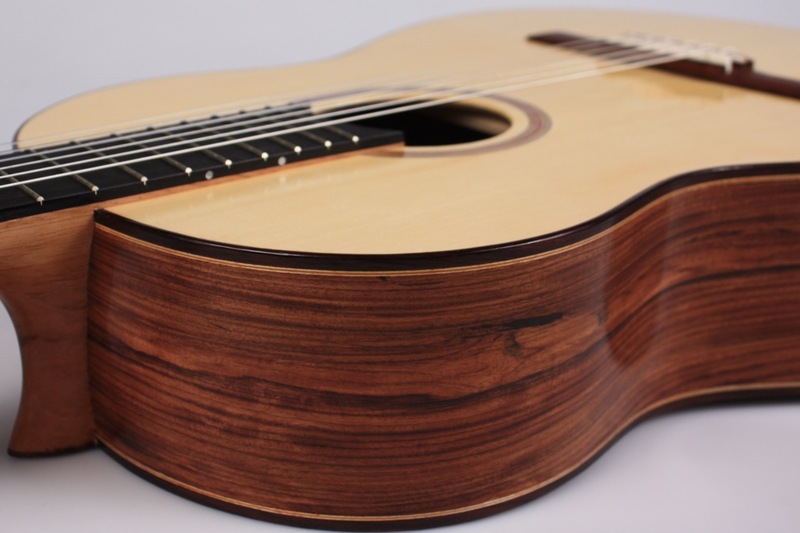 The design of my guitars is very simple on purpose, because I do not like “rich” guitars. The sound is the most important aspect and should speak for itself. So I use only very simple bindings, no inlays, no mother of pearl or any other stuff like this. 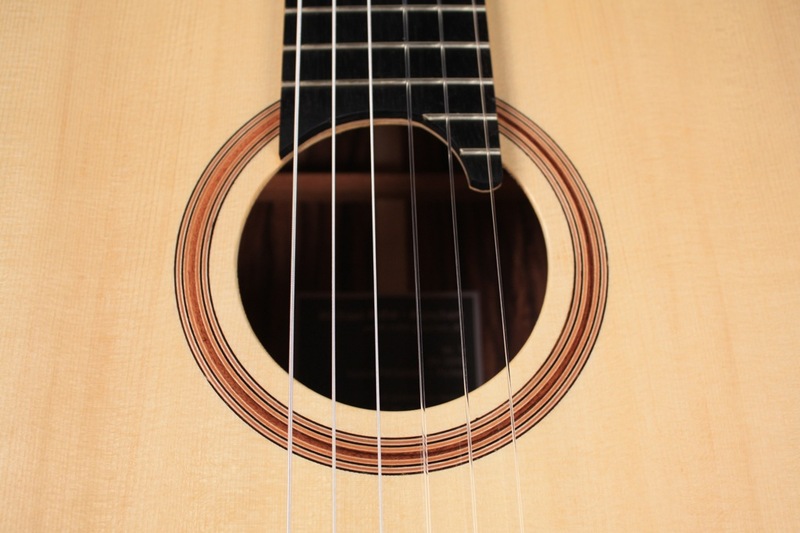 The sound hole is surrounded by a few rings whereof the center ring is always from a piece of wood of the sides or body of this single guitar. 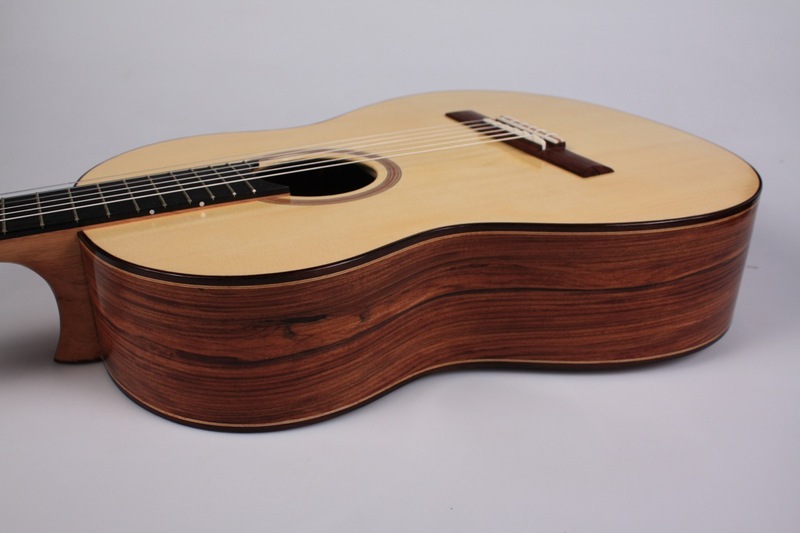 My guitars are constructed in such a way that they can be played both right and left hand. Besides many constructive elements that can not be seen from outside of the guitar, the bridge is the only visible part of that concept. 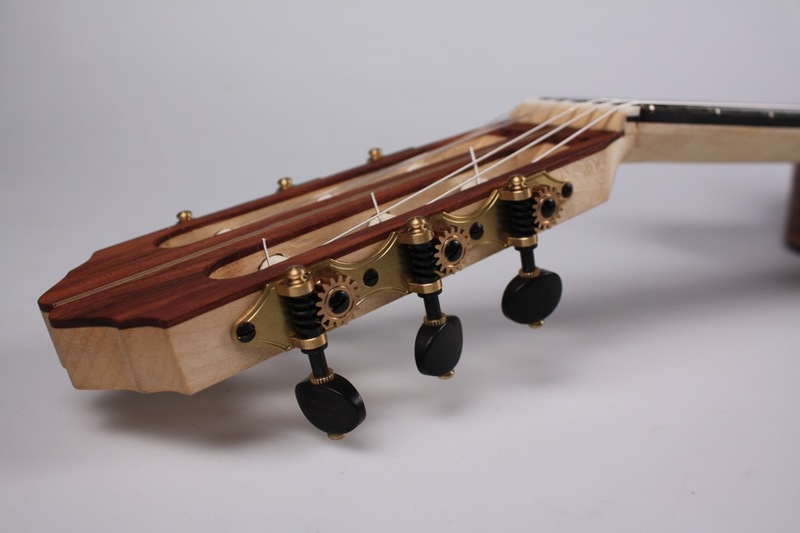 The special guiding of the strings and a 12 hole bridge design with vertically positioned holes have the advantage, that the strings can be fixed in such a way, that the ends do not harm your hand and the knot is fastening very good and leads to a very fast and stable tuning.